I realised for the past decade, when we plan our holidays in Indonesia, it is always Bali. One day, Leon (@leonventures) and I decided a different route. We realised that we have never seen another side of Indonesia (and there is so much to see). The mystical temples and volcanoes are to be found in the island of Java. We were intrigued, I don't think we've ever seen an active volcano in real life. You know that mountain that's puffing out white smoke and do a little dance like the ones you've seen in cartoons. For a whole week, Leon and I did nothing pretty much. We read books and bike around the paddy fields, living our idle village life for days. I remembered it was the ninth month of the Islamic calendar, which is the fasting month. We had to stock up food at some point but it was all fun when the night markets open up in the evening. There was a wide variety of local street food to choose from, with our favourites, bakso, tofu and chicken satay. Bakso is one of Indonesia's well known national dish served with meat balls, noodles and vermicelli, which you can find litereally everywhere, in every city, town and village. There will be bakso. The fun thing about traveling in Indonesia are the motorbikes one can hire for as little as $10 a day. And all you need to top up for fuel is $3 for a full tank! How good is that? With our rented motorbike, Leon and I zoomed around places. Don't get me wrong, riding on a motorbike in Yogyakarta was really scary but fun at the same time. There were more motorbikes than cars. Leon was brave (I wasn't, haha) but we got to places we want to go, in our own time. Ask any Indonesian locals, they will tell you their favourite waterfall spot (and hot springs too). 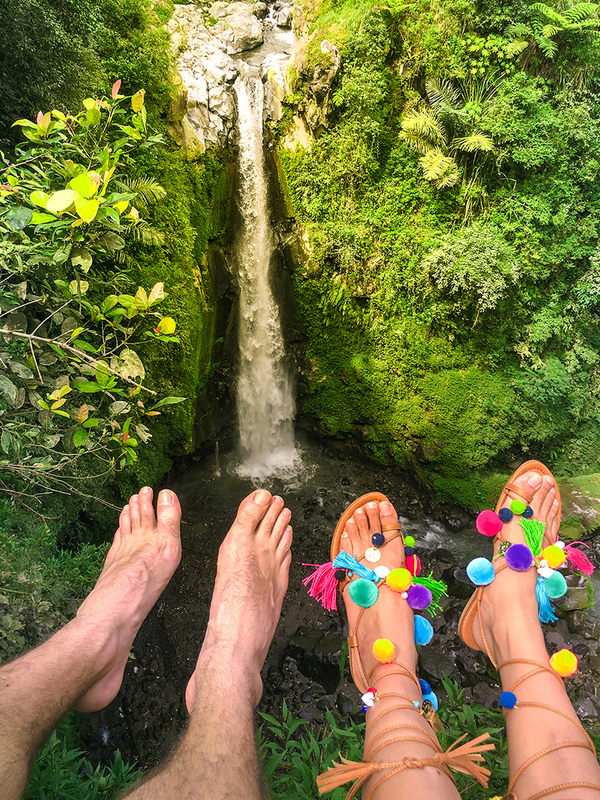 It is a national past time to visit these beautiful cascading water around the big Java island. And there are so many to choose from! We went to a pretty waterfall in Boyolali called Kedung Kayang, riding past Mount Merapi and more of those gorgeous green padi fields. Be prepared to ascend down super slippery slopes and steep staircases and random motorbikes going up and down the narrow cemented pathways. It was well worth the 20 minute trek. One of my favourite waterfalls in Central Java. In Indonesia, Central Java, formed by volcanic eruptions, is the 5th largest island and the 13th in the world. It is afterall the island of megacities where more than half of Indonesians reside here. No one truly know where the name Java comes from. It has a few origins from 'jawa-wut' plant to a sanskrit word 'yava' which means barley. Borobodur temple, which is to be found in Central Java, is the largest Buddhist temple in the world. 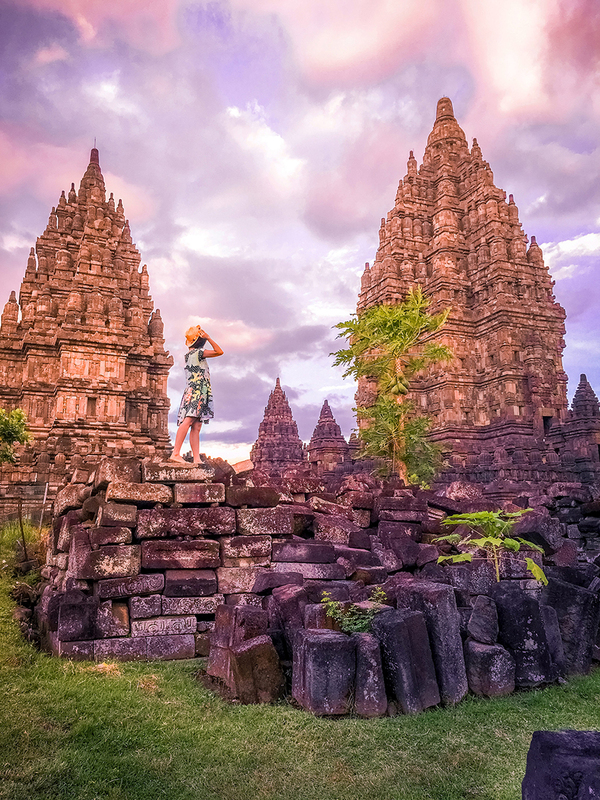 And not only that, Prambanan temple, which is a few hours ride away, is the largest Hindu temple in South East Asia. Both are UNESCO heritage sites, and so worth the trip to see it once in a lifetime. Once upon a time, Java was the center of powerful Hindu and Buddhist kingdoms. The Javanese language and culture were heavily influenced by the Hindus. Today, you can still see the religious sites built more than a thousand years ago. We visited the Buddhist temple, Borobodur, in Magelang. Abandoned in the 14th century following the decline on Hindu kingdoms in Java, Borobodur was taken over by the jungle and fell into local folklore. Folk stories of misfortune and ill omen were circling around the ancient Javanese chronicles. Borobodur was packed with tourist especially the sunrise session. I personally think it's much nicer (and peaceful) after sunrise, as I got to explore the temple grounds and have a sip of water, admiring the view. I think, sometimes, people forget to enjoy the moment. Like a wedding cake, Borobodur was a grand temple of nine stacked platforms. If you have a peak into the perforated stupas, there are some buddha statues inhabiting inside. The very next day, we rode to Yogyakarta where the Prambanan temple is located. What I truly love was the temples Prambanan. I took a class in South East Asian architecture, and Prambanan caught my eye. The Hindu complex was built half a century later after Borobodur. 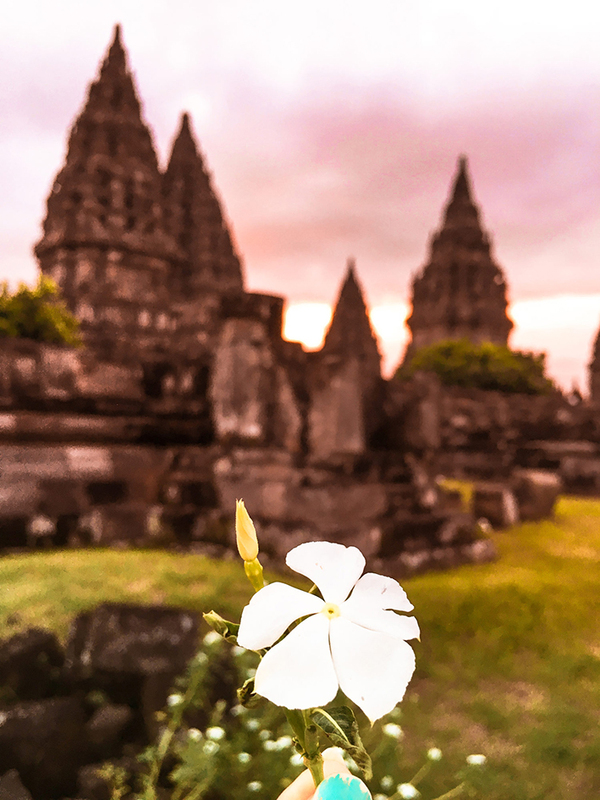 There is something mystical and dreamy about Prambanan, with the temples shaped after the holy mountains to mimic Mount Meru. I love that the stones were piled up around the ancient site. It feels like a scene from Jungle Book. 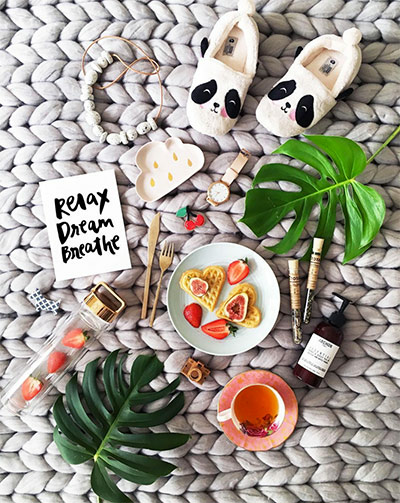 Pretty sure that when my #instagramhusband, Leon (@hungrysydneysiders), took this flatlay, he was in a grumpy mood. Haha! 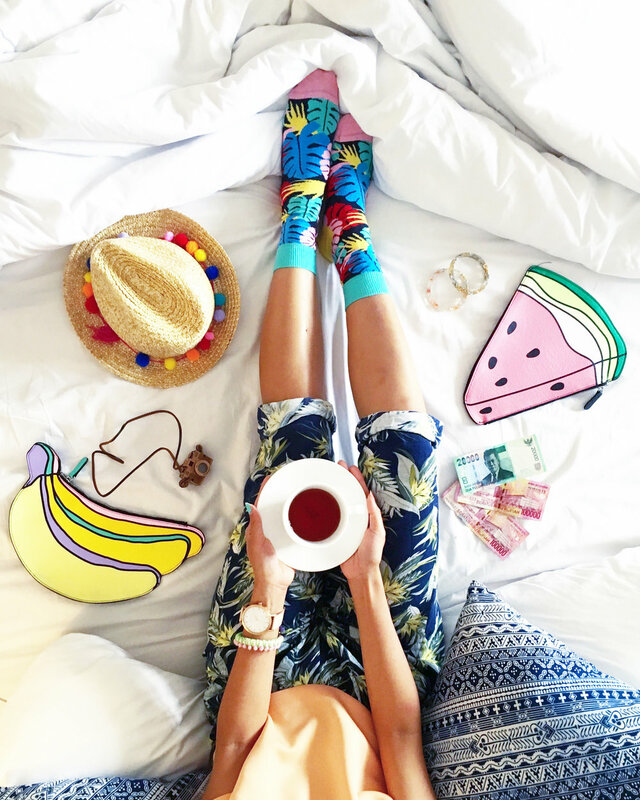 He was ready to go out and explore the surrounding villages, padi fields and waterfalls. I couldn't help but showcase the tens and thousands of Rupiahs I had in my pocket. It was quite a culture shock to be holding millions of Rupiahs at some point during our travels. With high inflation in the money, think of, forexample a coconut water, it will cost you about 1000 Rupiah . If only, having millions was our real life in Sydney, hehe. It's the most design-ery thing I've seen in Central Java, utilising old and delapidated wooden 'kampong' house windows as a wall. And a colourful one too. Totes in love with the collage. Two things : Waterfalls and those majestic looking volcano peaks. 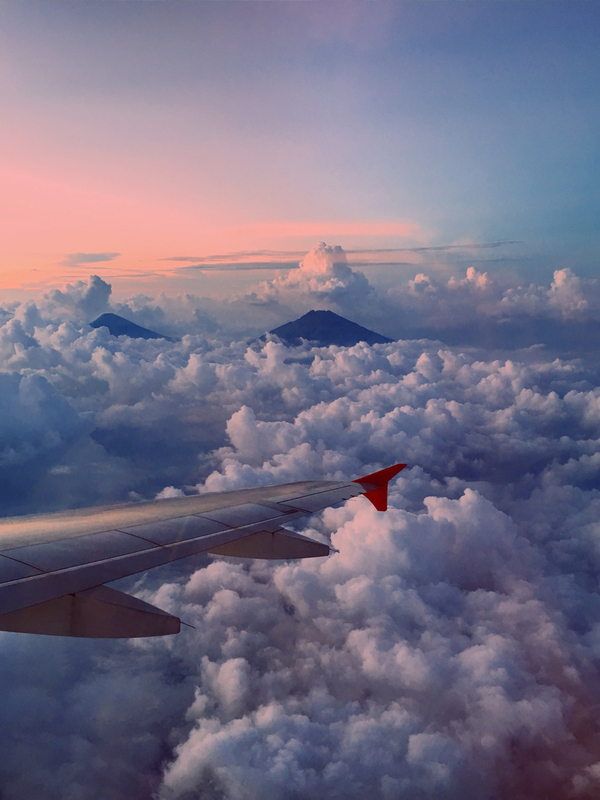 For a whole week, we never got a chance to see the peaks of the Javanese volcanoes. They were always covered in clouds, from the day we landed. As we were leaving Yogyakarta, something magical happened at dusk. Luck was on our side that day, we sat on the right side of the plane, and we flew past the volcanoes. And I knew I have to return to Central Java as I can't get enough of the volcanoes. They could be angry, they could be docile, kind of volcanoes, but I want to see them all!